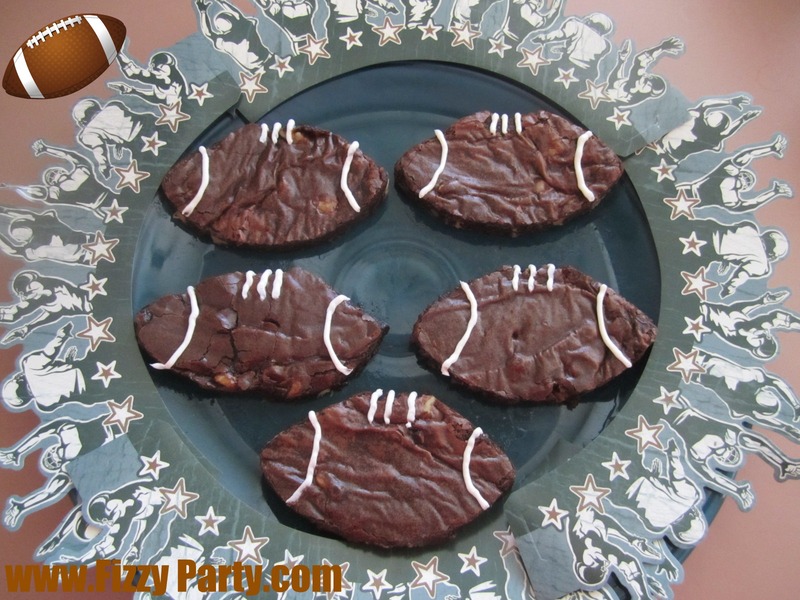 Fizzy Party: Are you ready for some football? 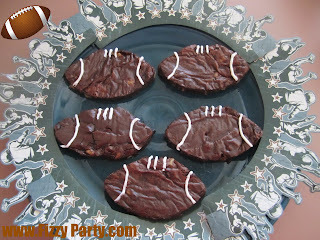 It's Super Bowl Sunday! Once again, I was not invited to any parties. None of my friends throw Super Bowl parties. Boo Hoo. I would have, except our team, the Packer's didn't make it. I would have thrown a big 'ol Super Bowl party if they had. Even though I wasn't invited to any parties my husband and I are still going to party it up low key style. Pizza, soda, a beer for him and football brownies. These look great! We had a low key family party too. Can't go wrong with brownies :)Low key Super Bowl with the family sounds perfect!